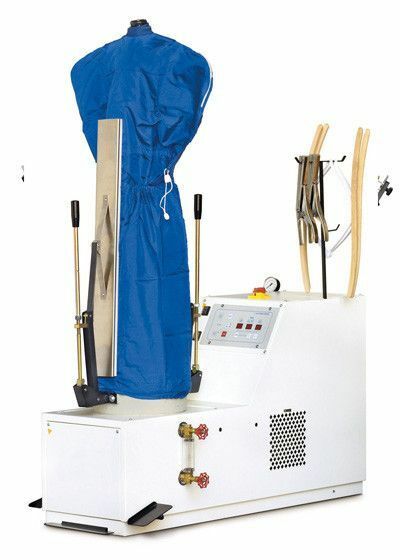 The working cycle is completely automatic and the steaming and drying duration is adjustable by three timers. The shoulder width and the bag are adjustable. 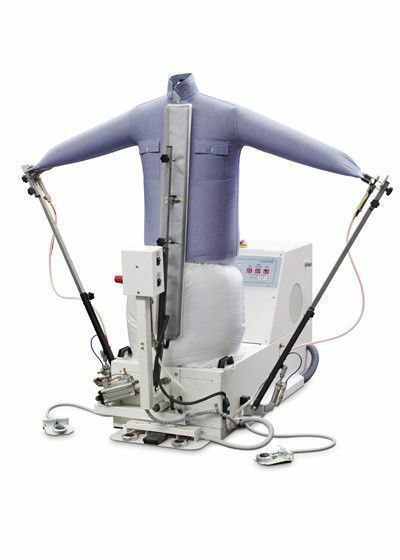 The support of the bag (frame) with its controls rotates to 360º. Electrical connection: 400 V III+N / 230 V III. Complete with built-in steam boiler, 18 litres, with automatic water feeding and automatic pressure control (4,5 bar). To be connected to a central steam supply. Electronic card featuring ten programs for an automatic working cycle. Steam iron connection complete with « all-steam »-iron. Air superheater ranging from 0° to 350°C. Electric connection: 400 V III +N. 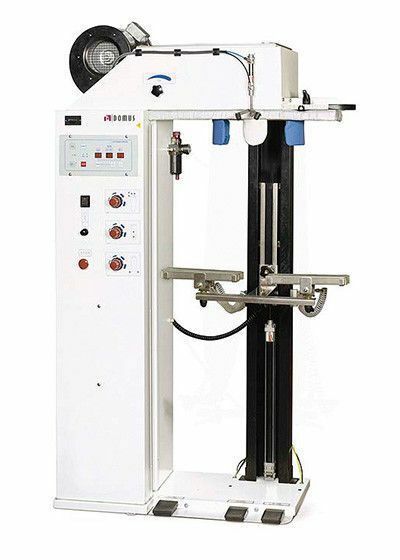 With air-operated waistband and leg stretching device, for central steam and compressed air supplies. It needs compressed air, 5 bar - 40 Nl/min.